The MATA Martial Arts Instructor Certification Program. The world of martial arts is extremely competitive. You have so many schools all offering similar benefits and competing to gain new students. How can you stand out above the crowd? By taking the extra step to increase your professional education and standing in your community. The MATA Instructor Certification Program is designed to provide you with the knowledge required to work with today’s diverse student body regardless of your style. This online certification is convenient. You do not have to travel and take time away from your school. Study and take the certification where you want and when you want. The instructor certification from the MATA will build upon everything you have learned as a martial artist. Your knowledge will expand, and you will learn a whole host of advanced teaching skills and tactics. You’ll learn how to work with children and parents. You’ll reduce risk and increase retention. Most of all, you will increase your professional standing in the eyes of your current student body and your community. 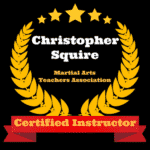 Earning a certification accredited by the Martial Arts Teachers’ Association (MATA) shows you are committed to professional development as an instructor. Earning a black belt typically means you’ve passed a test that demonstrates that you can remember and execute the techniques of your martial arts style. A black belt does not mean that you have been trained in how to teach that style or any other. Teaching is both an art and science that most martial arts instructors are never taught. All successful graduates receive a beautiful, professionally designed 11 x 17 certificate that you can proudly display along with window decals and a badge you can display on your website. Our Instructor Certification Exam is delivered during the course. As you complete each Module, you will have to successfully pass that Modules' exam. Once you've finished all modules and exams, you have completed the MATA Instructor Certification program and you qualify to receive your certification. Your certification will remain active for two calendar years from the date you pass the exam. Once your certification expires, you can renew at the lower rate of 9. A score of 75% or above is a passing grade. If you do not pass you can take as many exam retakes as you need for free. We are proud of the fact that all material and exams have been created by a team of contributors holding the highest academic and martial arts accreditations. We are pleased to provide our clients with free instant test grading, test results and certification. Upon successful completion, we'll send you your 11 x 17 certificate along with some other items that will help you display your certification in your school and online. The MATA Instructor Certification Program is designed to provide you with the knowledge required to work with today’s diverse student body regardless of your style. Aside from the benefits this certification will bring to your students, it is also extremely convenient to take. The certification test is taken online. You do not have to take time away from your school. Study and take the certification where you want and when you want. Module and exam requiring 75% to pass. Unit 7 Lesson 6: Name Question or Question Name? The MATA Certification Modules are based upon work by contributing experts in various fields ranging from Child Psychology to Law. Each expert is also a practicing martial artist with many years of experience. 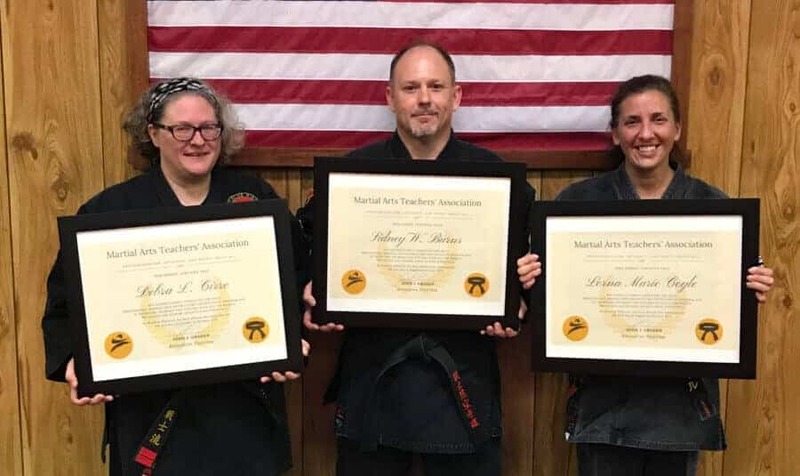 This combination of the highest academic standards through the filter of the martial arts instructor experience makes the MATA Certification truly unique. Chris’ extensive law enforcement experience dealing with real criminals have given him highly unique insights into the reality of self-defense. 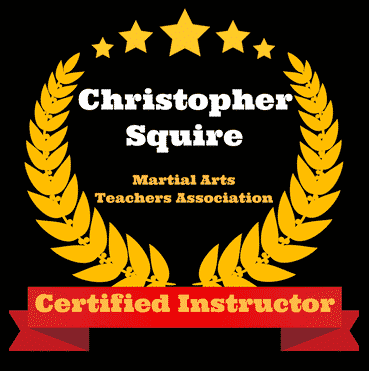 Chris has used this expertise to create the acclaimed C.O.B.R.A.™ reality-based self-defense system, as well as influencing his other martial arts programs, fitness programs & books. Associate Professor of Pedagogy at the University of Virginia. A TKD black belt, Dr. Boyce has been studying martial arts for over 40 years. Master of Arts in Human Kinetics with a specialization in Sport Psychology - Performance Enhancement at the University of Ottawa. Ms. Chung has been a world class TKD competitor since 1987. Scot Conway is an attorney at law in California and the founder of Guardian Kempo Christian Martial Arts. Dr. Donohue holds a doctorate in anthropology with a research concentration in the cultural aspects of Japanese martial arts. Don Korzekwa is a Licensed Psychologist and black belt living in Texas. Michael Maliszewski has his Ph. D. in psychology and created the largest behavioral medicine program in the world in Chicago. He has traveled the world studying martial arts of various styles. A protege' of Joe Lewis, John Graden is widely credited with leading the martial arts school business into the modern era. He is author of the best selling books on martial arts school success and founder of some of the most influential organizations in the martial arts. Joe Lewis is a legend in the history of American Karate. He began his training in 1968 and earned two black belts within 7 months. A world champion many times over, Joe Lewis passed away in 2012. His contributions live on. Dr. Willy Pieter set up the certification program for TKD instructors i the Netherlands in 1980, which received government recognition. His background is in the ITF and the WTF. Dr. Gianine Rosenblum received her masters and doctorate in psychology from Rutgers University and has been practicing martial arts since 1990. Sharon Spalding is certified by the American College of Sports Medicine as an Exercise Specialist. In 1995, sh designed the fitness program for the Virginia Women's Institute for Leadership. Tom Thompson holds a Bachelor of Science Degree and a Master of Science Degree in Kinesiology from the University of North Texas. Mr. Thompson also operated the Alpha Fitness Center in Dallas and has been training in martial arts since 1970. Dr. Estwanick has vast experience as a boxing safety consultant and ringside physician for boxing and MMA contests for decades. Tim Rochford owns Empower Gyms in the Chicago area. He is certified by the American Council on Exercise (ACE) and the National Strength and Conditioning Association (NSCA). a. Claim that you are a certified instructor from MATA, because you're not. b. Receive or display any certificate, poster, newsletter, decal, web announcement, press release or proclaim in any fashion or method that you have earned MATA certification. NOTE: A FREE Registration is required for the course to load and grade the exams.Enroll Today! Current MATA-Pro members can take the course for 2 payments of $74.50. $74.50 and $74.50 in 30-days.